I always wanted to have a wall safe. I wasn’t sure what I would store in it, but the idea of moving a picture frame and revealing a secret safe, like in the movies, was too cool not to try it. 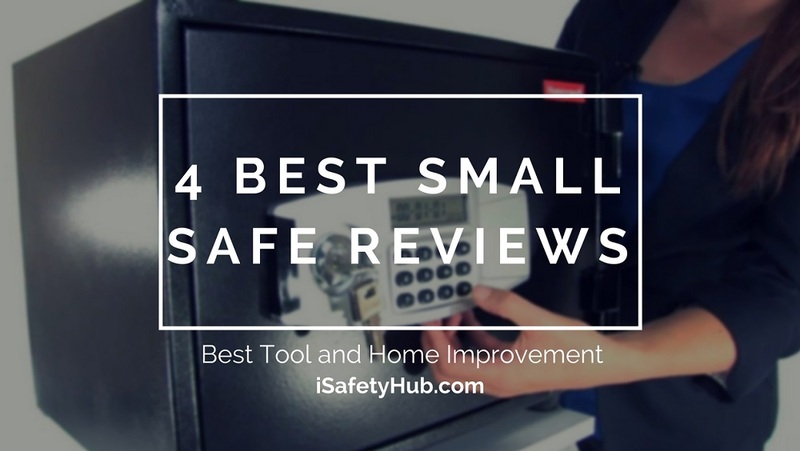 So, as soon as I moved into my own apartment, where I had the right to change everything the way I like, without receiving a penalty from a landlord – I purchased my first wall safe. To be honest, this wasn’t an impulse buy. Choosing an in-wall safe is a serious commitment. It is most likely that it will stay on your wall for years, so you have to be sure you are making a right decision. 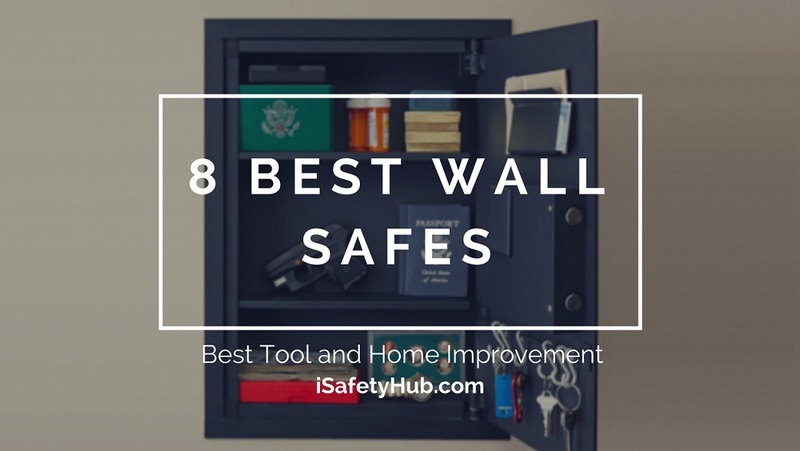 So, I researched, asked around and tested until I found the best wall safe for my apartment! Today, I am here to help you do the same. I will teach you different tips and tricks and present you the best models on the market! 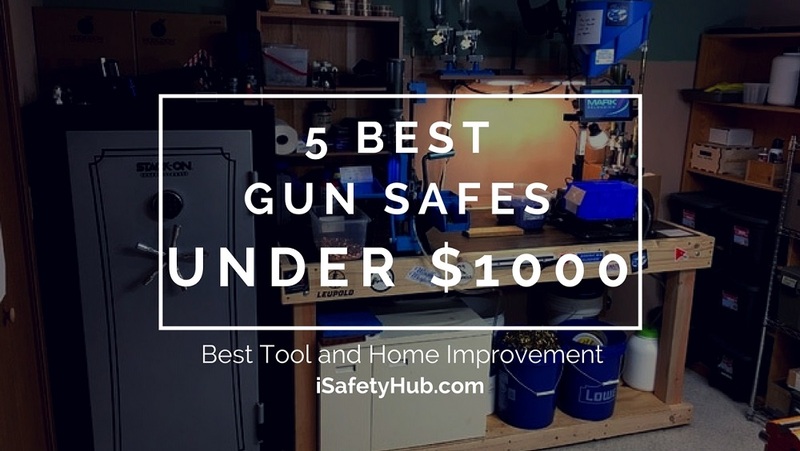 If you are in a hurry, Click here to skip the buying guide and jump straight to the top 5 Best Wall Safes list. 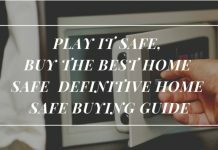 How to Choose the Best Wall Safe for Yourself? What is the depth of your wall? Which locking mechanism is the best? Where to Hide a Wall Safe? 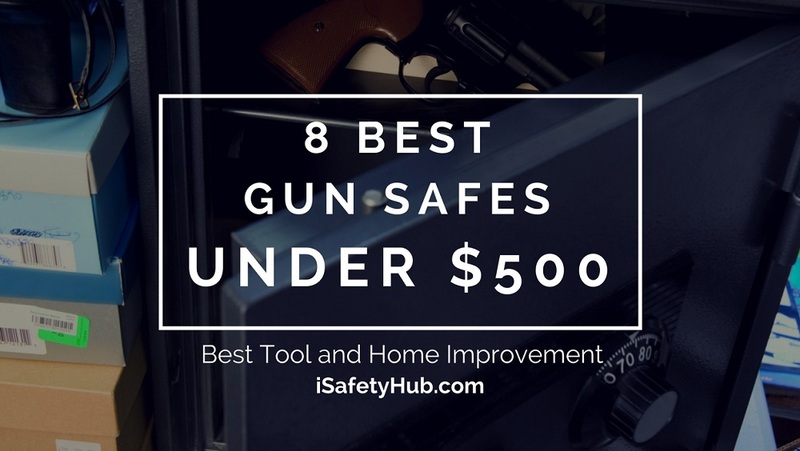 You’ll have to check a few things before purchasing a wall safe. 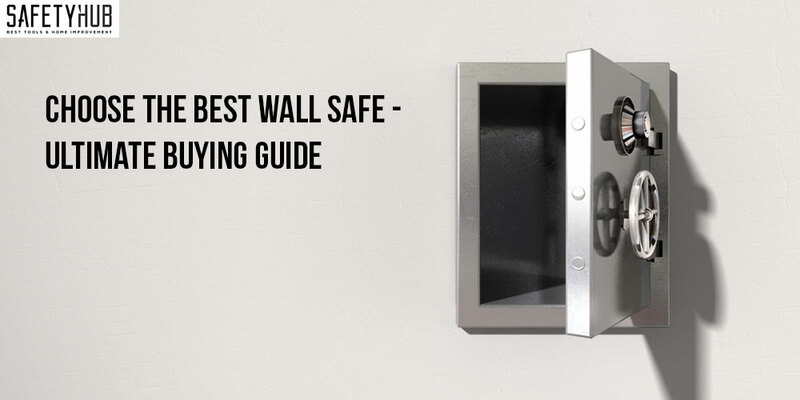 It might come as a surprise to you, but your ideal wall safe won’t be the best-looking one. It will be the one that suits various needs — both yours and your home’s. The first thing you should do is learn the depth of your wall. 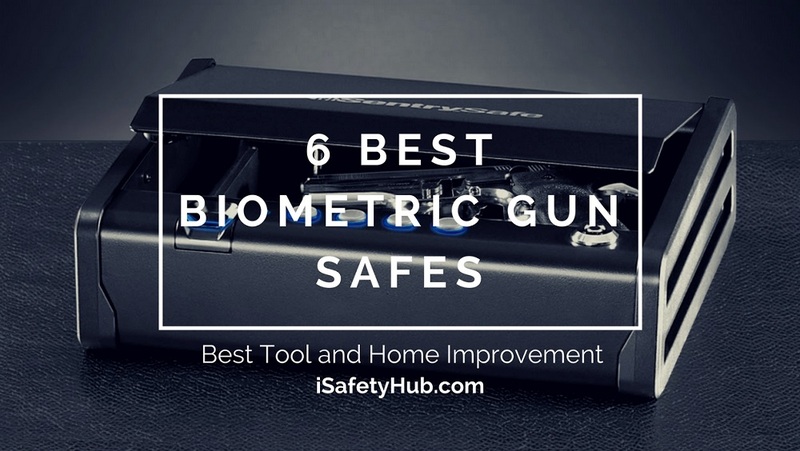 Your new wall safe will work only if it is compatible with these measurements. Typically, walls are not extremely deep, but this depends on your building’s or house’s architecture. Their depth usually varies between four and six inches. 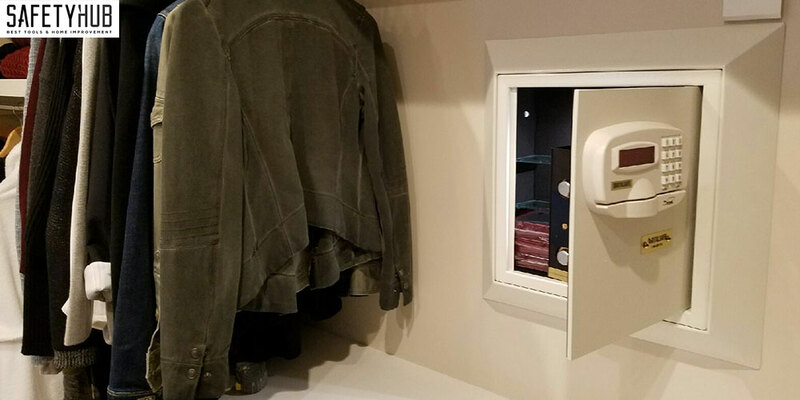 Remember, if your walls are shallow, and you think the safe wouldn’t offer you enough storage room, you can always go for a taller model that is more spacious. The installation process needs to be simple. You will be doing it on your own, and if you can’t do it right, its level of security will be endangered. You’ll need to attach the unit to the studs in your wall. So, make sure you choose an area with enough room. Ideally, you will choose a future your location for your wall safe while your home is still being built. However, this is a rare situation. 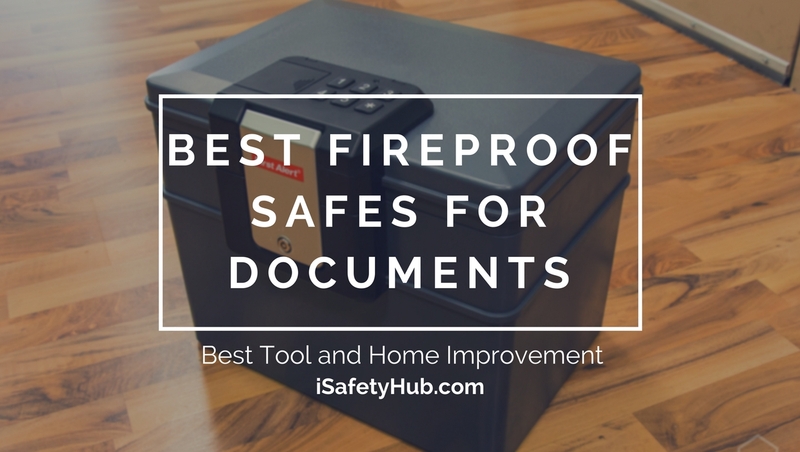 Most commonly, people install their in-wall safes later. Most of the models have a flange, so you don’t have to worry about plaster or drywall repair. This aspect depends on your personal preference. 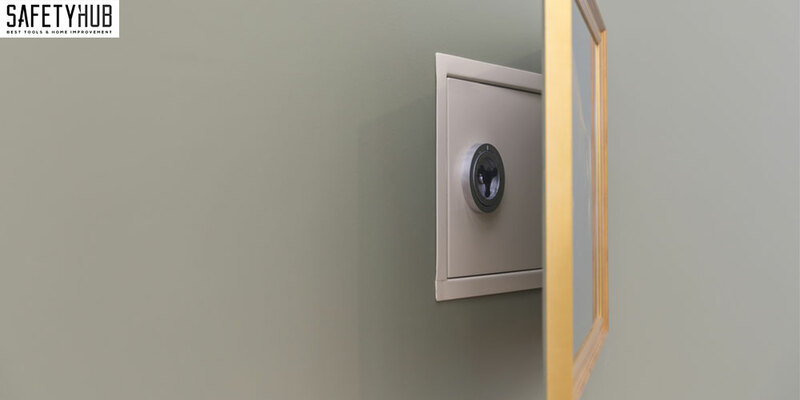 Wall safes, just like any others, have multiple lock options. Electronic locks, mechanical combinations, simple locks with tubular keys, or biometric locks — all of these options are at your disposal. It is best to choose a model that combines two or three different locking mechanism, to ensure better protection. At last, don’t forget to check all of the features each model is offering. For example, look for thicker steel if you want better security. LED light on the interior and emergency battery boxes on the exterior can be convenient. Shelves should be removable. Look for the features that you find the most useful. 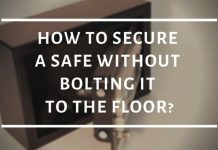 Once you purchase a wall safe, the question is where to install it? Finding a good and creative place for it can double its efficiency. This is one of the most popular solutions ever. 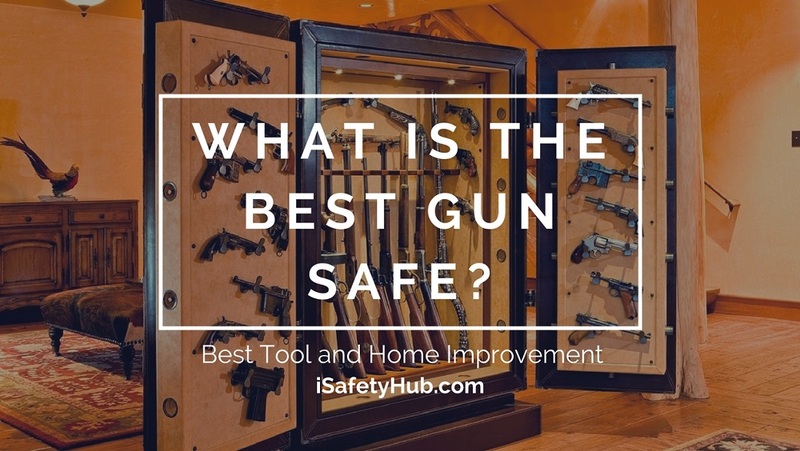 If you have a massive piece of furniture, such as a couch, piano, or anything else that one burglar can hardly move, you can place your wall safe behind it. Unfortunately, this also means that this piece of furniture is complicated for you to move it on your own too. 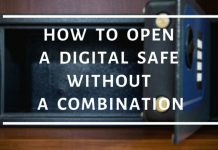 So, this option is useful only if you don’t have to access your safe often. 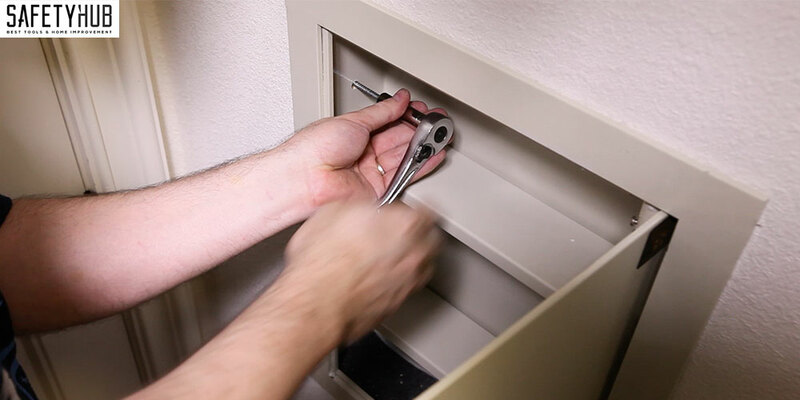 Wall safes are most commonly located in a master bedroom closet, and this is the first place a thief would check. Trick a burglar and place your wall safe in a secondary bedroom. Still, avoid children’s rooms, you don’t want to put them in danger just for the sake of the safety of your valuables. 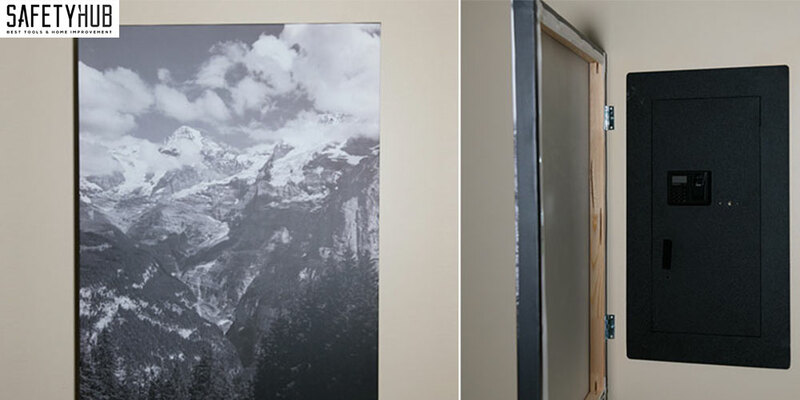 Hiding a wall safe behind a fake electrical outlet is easier than you think. There are cheap kits that will help you make this possible. However, as a hiding spot, the fake electrical outlet can be pretty obvious if it is out in the open. On the other hand, if you hide it behind a piece of furniture as well, it can be very tough to spot. If you are crafty and creative enough, you can quickly make this come true. All you have to do is glue a row of old books together and hollow out their pages. This will create a space ample enough to hide the front panel of the wall safe. Hiding a wall safe behind a wall painting is a classic, but it is also quite effective. Burglars usually don’t have enough time to check behind every painting in your house. This is also a more convenient method of storage than any other listed above. 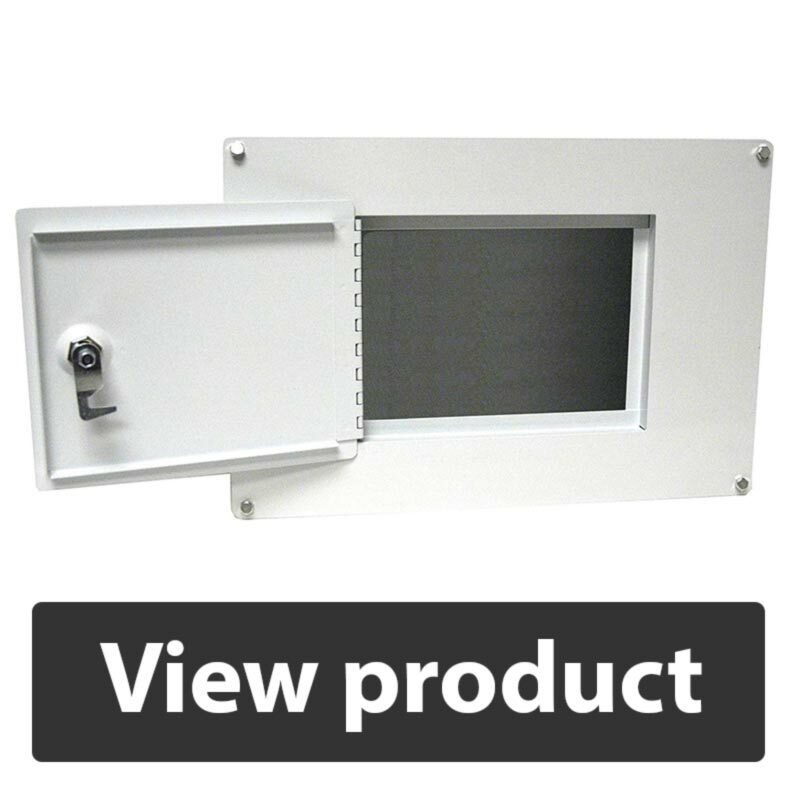 It gives you a chance to access your safe very easily, and it can hide your safe even if it sticks out of the wall. It's quite heavy but easy to install. The spring on the door is a useful feature. The textured finish makes it seem more elegant. It is easy to program and mount. The unit itself is cumbersome. It fits perfectly between the studs. It is sturdy and spacious. The light comes on when you open the door. It features an external emergency battery device. It has an emergency hidden lock with a key. It has an external battery pack, so you don’t have to worry. Biometric reader works like charm, and it’s easy to program. If you are ready for an upgrade from a small safe to a wall safe, Paragon 7750 is a good starting point. Its interior dimensions are 20.25″ x 14.25″ x 3.75″, and it is constructed of 1/8″ thick solid steel. It features tamper-proof hinges, grey carpet padding, and one-inch frame. 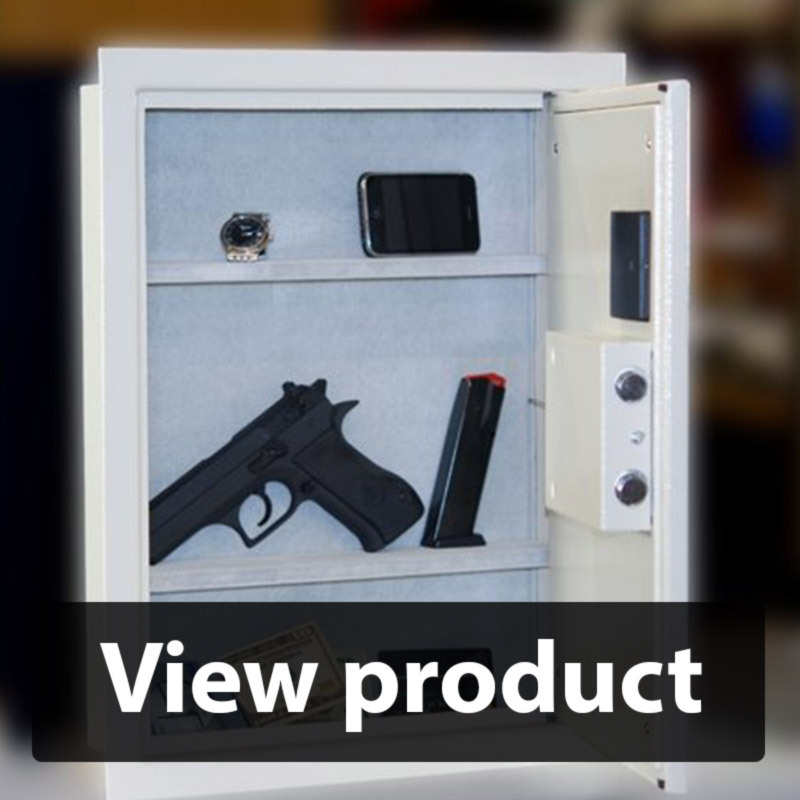 This safe comes with anchor bolts and electronic lock with LED and a buzzer. 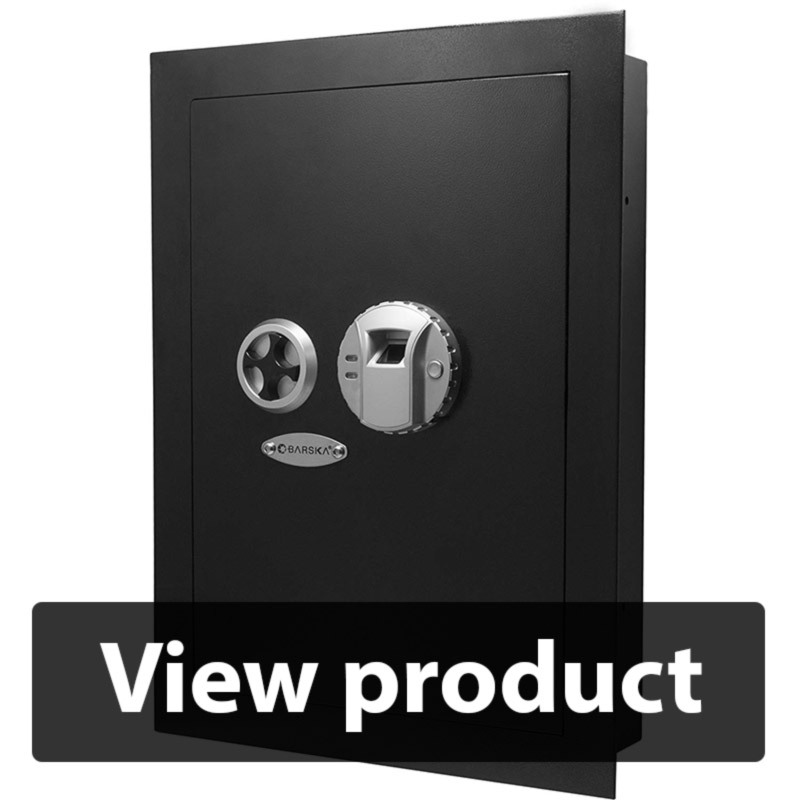 Once you buy and install this reasonably priced wall safe, you can count on Paragon to have your back, as they will provide you with a 10-year manufacturer warranty. The unit is heavy, but you won’t have any problem installing it. What I particularly liked on this model is the spring on the door, hidden master key slot, and a temporary keypad lockout option. On the other hand, you will see that the middle shelf is practically useless due to the battery box. The keypad beeps loudly, and it can’t be turned off, which can be inconvenient once the thief is in your house. It’s quite heavy but easy to install. Hidden master key slot and temporary keypad lockout are amazing. The middle shelf is practically useless. You need a bit force to open the door when the code is put in. The interior is rather small, compared to its footprint. I fell in love with the elegant grey color of Paragon’s 7725 wall safe as soon as I saw it! It’s interior dimensions are 20.25″ x 14.25″ x 3.75.” You can fit it between the studs, and it has practically the same features as the previous model. The one-inch frame around the front of this wall safe will help you conceal the lines that are not cut straight along drywall. It comes with two emergency keys. As I said, the textured, grey finish of this safe makes it seem so elegant that I wanted to place it somewhere visible. Mounting it and programming can be done within an hour. 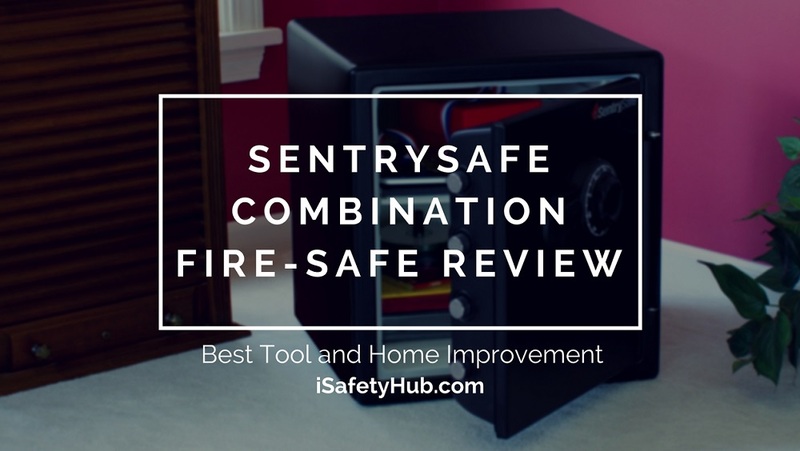 You will see, the unit is very heavy, and the material is thick, but the safe doesn’t stick out of the wall too much like some other models. However, the front panel seems cheaply made, and I had a problem with the buttons getting stuck a lot. Also, the interior design limits the way you can modify the shelf height. Spring loaded door are easy to open. The material is thick, but it doesn’t stick out of the wall. The front panel seems cheap. The buttons get stuck a lot. 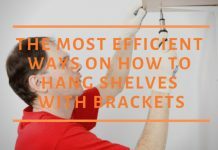 Interior design limits the way you can modify the shelf height. It sticks ¾ inches out of the wall. If you are an old-school person, looking for something reliable yet straightforward, Homak’s 1.5 mm thick, steel wall safe might be the right choice for you. 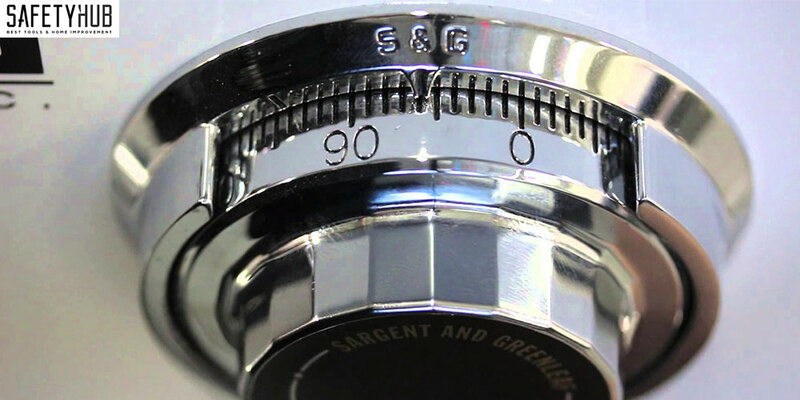 You can lock it with a tubular key, and there are no other locking mechanisms that complicate the process. Its dimensions are 17-1/4″ x 4″x 11-3/4,” and it can be concealed behind a picture frame or a mirror. First of all, you won’t find a wall safe more affordable than this one. This white unit will fit perfectly between the two studs in your wall. If you ask me, I think it is better suited for an office than your home. It offers plenty of space, and it is sturdy. I liked its anti-pry lip, and how easy it was to install. On the other hand, you have to be aware that this is nothing more than just a lockable cabinet that can be built into a wall. Any average burglar could break it with a good crowbar. The locking mechanism consists of two separate locks which are not convenient in case of emergency. It has an anti-pry lip. It’s a lockable steel cabinet more than a safe. Any average burglar could break in it. The locking mechanism is two separate locks, which can be annoying. It doesn’t have any padding on the inside. Protex’s wall safe features a digital electronic locking system and a motorized locking bolt system which will open the door for you automatically. Just like all of the other models in this group, this unit is designed to be installed between two 16″ wall studs. It will offer you about 0.44 cubic feet of storage space, and you will get two removable shelves. I know, this safe is a bit more expensive, but it has so many benefits! I love the light that comes on when you open the door. Also, the external emergency battery device is super useful in case you forget to buy the replacements. 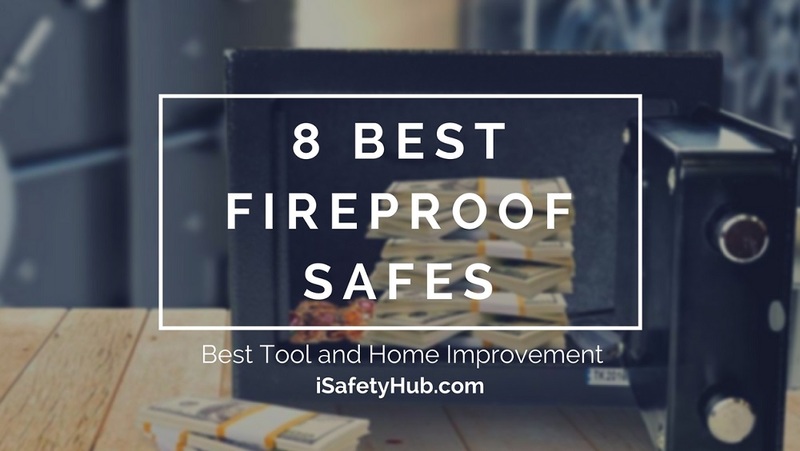 The safe is sturdy, and the keypad doesn’t look cheap. The installation is quite simple, and the instructions are clear. Unfortunately, this safe isn’t very deep, so you won’t be able to store large things, such as your laptop in it. Also, the beeper is annoying, and it can’t be disabled. The locking mechanism takes up too much space on the interior, significantly cutting down your storage room. It is sturdy and has a nice keypad. The doors pop up when you punch in the code. The safe is a bit expensive. There is no way to disable the beeps. The locking mechanism takes up too much space on the interior. You know how much I love biometric technology! Well, Barska has an amazing biometric lock that is capable of storing and recognizing up to 120 different users. 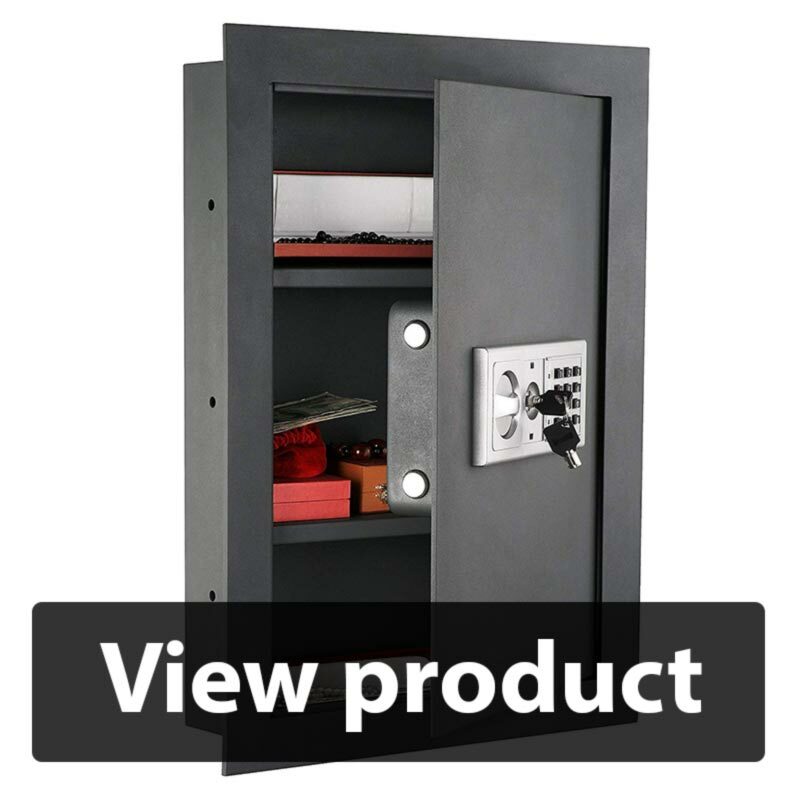 This wall safe is constructed of steel and features a two-point deadbolt system. It comes with two back up keys for secondary access and a one-year limited warranty. Its exterior dimensions are 15.5″ x 3.73″ x 20.75″. I know you are suspicious about biometric locks, but you don’t have to be. Barska’s biometric reader works flawlessly nine out of ten times. 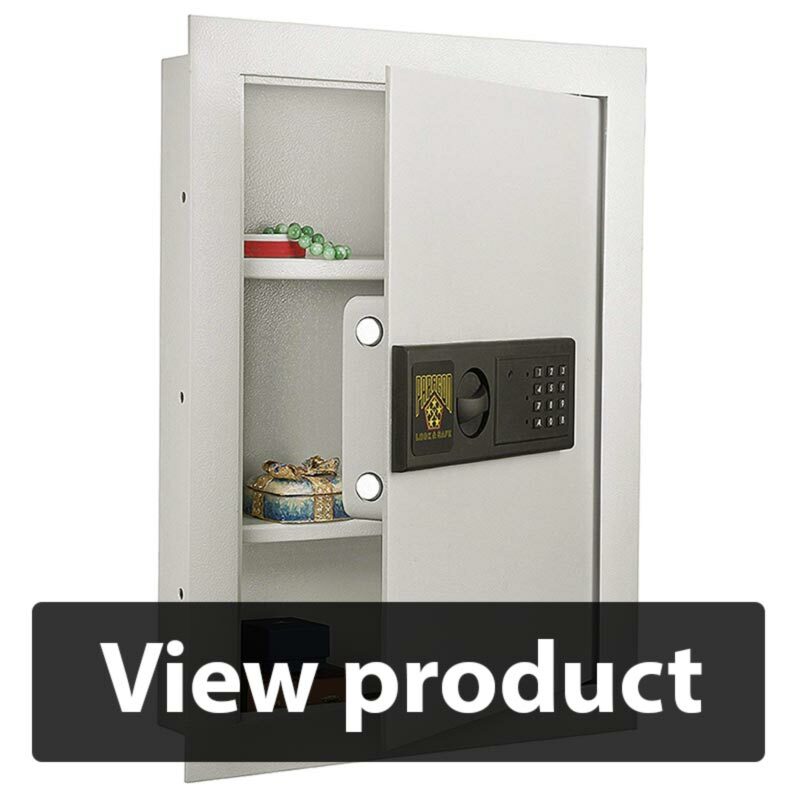 This wall safe has an external battery pack and comes with mounting screws and hardware. The door swings open with ease. Unfortunately, some parts of this model are made of cheap plastic, such as an internal battery compartment and the opening knob. You should be aware that they might be prone to damage. The door might be a bit loose, but you can fix this with a screwdriver. Still, a resourceful thief will find a way to get into this safe quite easily. It comes with mounting screws and hardware. The door swings open with ease. The internal battery compartment is cheaply made. The knob is made of plastic. The door might be a bit loose. You can open it with a crowbar and a screwdriver within minutes. 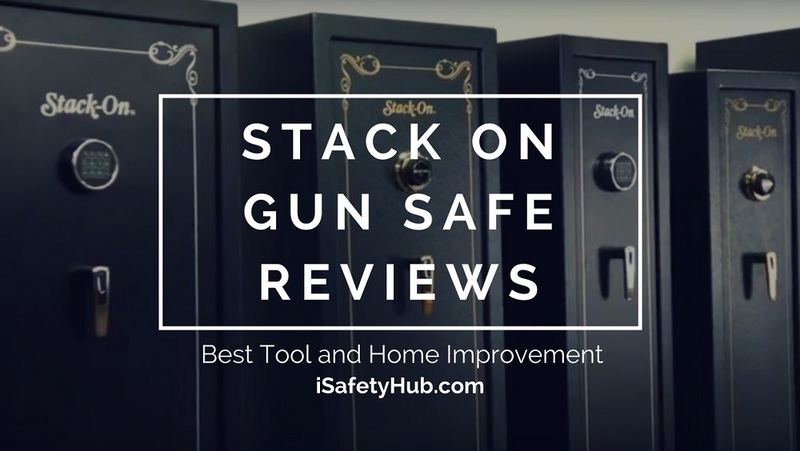 Did you learn how to choose the best wall safe for yourself? 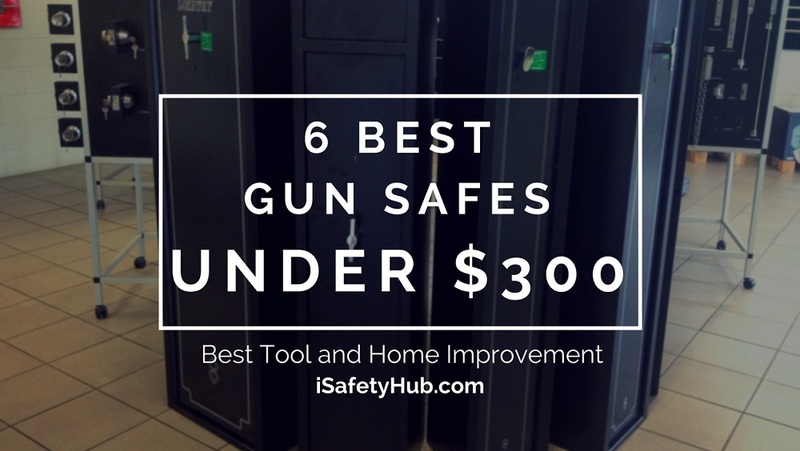 Do you already have some ideas where you can install your brand new safe? I hope you did and you do. At last, I want to recommend you the model that I liked the best from this group – Protex Electronic Wall Safe (PWS-1814E). I know it is a bit more expensive than its fellow companions, but it has many useful features — such as the LED light and an emergency battery device. At the same time, it provides an admirable level of security! I would love to hear your opinion. 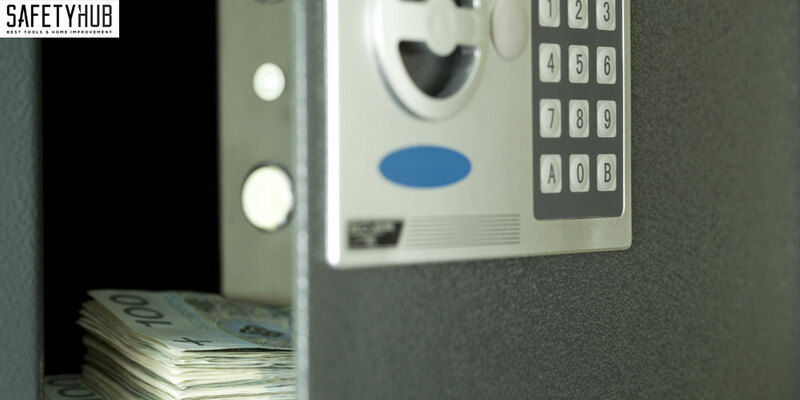 If you have any other questions about the best wall safes, feel free to leave me a comment. I had a robbery scare not too long ago and ever since then I have been looking to purchase some sort of safe for my home. This list was very informative and has given me a lot of great options to consider. Thank you! 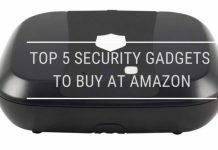 My apartment was burgled a few months ago and this propelled me to find security solutions with regards to my valuables. This post says it all, I have a shallow wall but I know exactly what to do and the kind of wall safe that is very suitable for me. Thanks alot !